President Trump has signed several executive orders directing the Treasury Department to report on areas where the administration may be able to ease banking regulations implemented by Obama and the Democrats, but Reuters reports that those reviews may be delayed. Trump, in February, gave Treasury Secretary Steve Mnuchin 120 days to deliver the news to the Oval Office; that deadline may come and go, however, due to ongoing staff vacancies within the department. The U.S. government’s review of a landmark 2010 financial reform law will not be complete by early June as originally targeted, and officials will now report findings piece-by-piece, with priority given to banking regulations, sources familiar with the matter said on Monday. 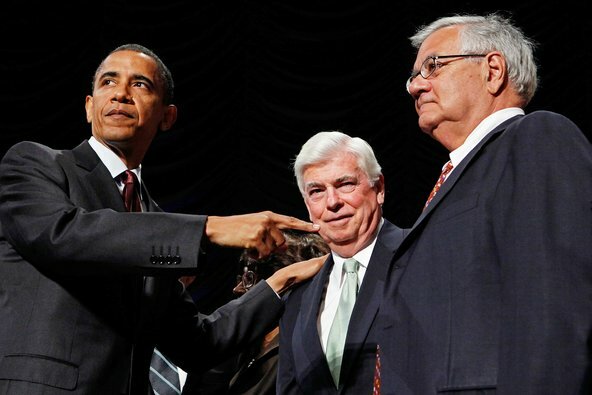 Not long ago, President Trump told Bloomberg that Dodd-Frank was “going to be very, very seriously changed so the banks can go back to loaning money.” And in a speech to community banks later that day, Trump criticized current financial regulations as “out of control.” His steadfast commitment to cutting those regulations is likely responsible for the enormous Wall Street surge we’ve seen since his election. While it’s unlikely that we’re in for a return to the Glass-Steagall days of dividing commercial banks from their investment firms, Trump is wary about appearing too cozy with Big Banking – one of the criticisms that hurt Hillary Clinton in 2016. That said, the banks are expecting quite a bit of relief from the Obama-era laws. Experts say it’s likely that the Trump administration, together with Congress, will ease capital requirements and fee limits while gutting the Consumer Financial Protection Bureau. A massive deregulation package would not only be welcomed by Wall Street but by small regional and community banks as well. Politically, the question is whether Trump’s reinvented Republican platform can tie his populist message to the more traditional conservative view of financial deregulation. This difficult feat can be made easier when and if Republicans start pushing back on the liberal mythology surrounding the recession.